polities that survived the Napoleonic Wars and the Congress of Vienna are listed. German states since 1918; these include the states and provinces of the Weimar Republic, Third Reich, and the modern period. The provinces of Prussia are listed in a separate section following the entry for Prussia (Prussian provinces). Statistical data is given only for those polities that survived to 1866. ¹among them the bishoprics of Augsburg, Bamberg, Berchtesgaden, Corvey, Eichstätt, Freising, Fulda, Hildesheim, Konstanz, Lübeck, Münster, Osnabrück, Paderborn, Passau, Würzburg; the imperial cities of Aalen, Biberach, Bopfingen, Buchau, Buchhorn, Dinkelsbühl, Dortmund, Esslingen, Friedberg, Gengenbach, Giengen, Goslar, Hall am Kocher, Heilbronn, Isny, Kaufbeuren, Kempten, Leutkirch, Lindau, Memmingen, Mühlhausen, Nordhausen, Nördlingen, Offenburg, Pfullendorf, Ravensburg, Regensburg, Reutlingen, Rothenburg ob der Tauber, Rottweil, Schwäbisch Gmünd, Schweinfurt, Überlingen, Ulm, Wangen, Weil der Stadt, Weissenburg, Wetzlar, Wimpfen, Windsheim, and Zell am Harmersbach; the imperial villages of Gochsheim, Holzhausen, Leutkircher Heide, Sennfeld, Soden, and Sulzbach; and the imperial valley of Harmersbach. Noble titles: Edler/Edle = Noble; Erzherzog/Erzherzogin = Archduke/Archduchess; Freiherr/Freifrau = Baron/Baroness; Fürst/Fürstin = Prince/Princess; Gefürsteter Graf/Gräfin = Princely Count/Countess; Graf/Gräfin = Count/Countess; Grossherzog/Grossherzogin = Grand Duke/Duchess; Herr/Herrin = Lord/Lady; Herzog/Herzogin = Duke/Duchess; Kaiser/Kaiserin = Emperor/Empress; Köing/Königin = King/Queen; Kurfürst/Kurfürstin = Prince/Princess Elector; Landgraf/Landgräfin = Landgrave/Landgravine; Markgraf/Markgräfin = Margrave/Margravine; Pfalzgraf/Pfalzgräfin = Count/Countess Palatine; Pfalzgraf/Pfalzgräfin bei Rhein = Count/Countess Palatine of the Rhine; Prinz/Prinzessin = Prince/Princess; Reichsfreiherr = Imperial Baron; Reichsgraf/Reichsgräfin = Imperial Count/Countess; Rheingraf/Rheingräfin = Rhinegrave/Rhinegravine; Ritter = Knight; Wildgraf = Wildgrave. Ecclesiastical titles: Äbt/Äbtissin = Abbot/Abbess; Bischof = bishop; Erzbischof = Archbishop; Fürstabte = Prince-Abbot; Fürstabtissin = Princess-Abbess; Fürstbischof = Prince-bishop. 15 Dec 1792 - 2 Mar 1793 Occupied by France. 23 Sep 1794 Occupied by France. 18 Oct 1797 Ceded to France. 16 Mar 1798 French abolish the free city government. 1813 - 1814 Allied (Prussian) occupation. 14 Feb 1814 Part of Prussia. 30 Aug 1863 Duchy of Anhalt unified. 12 Nov 1918 Free State of Anhalt (see German states since 1918). 19 Aug 1863 Incorporated into Duchy of Anhalt-Dessau-Köthen. 17 Apr 1630 Separated from Anhalt-Bernburg. 14 Dec 1709 Re-incorporated into Anhalt-Bernburg. 24 Dec 1812 Re-incorporated into Anhalt-Bernburg. 23 Apr 1665 Merged with Anhalt-Plötzkau. 5 Nov 1841 Re-incorporated into Anhalt-Köthen. the polity becomes the Duchy of Anhalt. 3 Mar 1797 Divided among Anhalt-Bernburg, Anhalt-Köthen, Anhalt-Dessau. 21 Jan 1398 Principality of Ansbach (Fürstentum Ansbach). 28 Jan 1792 Annexed to Prussia (see under Bayreuth). 22 Feb 1806 - 27 May 1806 French occupation. 27 May 1806 Annexed to Bavaria. 1645 Duchy of Arenberg (Herzogtum Arenberg). 9 Mar 1801 Annexed to France. 1 Dec 1802 Duchy restored at Meppen (Arenberg-Meppen). 12 Jul 1806 Raised to fully sovereign status. 13 Dec 1810 Annexed to France. and Lippe (see under Germany). 25 May 1815 Annexed by Prussia, Meppen to Hanover. bf.923 Bishops also Princes of the Empire. 15th cent. Seat of the Bishops moved to Dillingen. 27 Apr 1803 Annexed by Bavaria. 9 Mar 1276 Free Imperial City of Augsburg. 24 Apr 1632 - 1635 Occupied by Sweden. 4 Mar 1806 Annexed to Bavaria. 27 Apr 1112 Margraviate of Baden (Markgrafschaft Baden) established. Baden-Durlach, after the later choices of capitals. polities into a single Margraviate of Baden. styled Electorate of Baden (Kurfürstentum Baden). 25 Jul 1806 Grand Duchy of Baden (Grossherzogtum Baden). 14 May 1849 - 25 Jun 1849 Rebellion; establishes Republic of Baden 1 Jun 1849. 22 Nov 1918 Republic of Baden (see German states since 1918). 1227 Cistercian Abbey of Baindt (Kloster Baind). 1241 Placed directly under the protection of the Emperor. 1263 Declared free of any Guardianship (confirmed 1309). 17 Nov 1802 Count of Leyden takes possession of Baindt. Lynden, formerly Count of Reckheim (Rekem). 12 Jul 1806 Annexed to Württemburg. c.1242 Bishops also Princes of the Empire. 27 Apr 1803 Annexed to Bavaria. Aug 788 Conquered by the Franks. 806 Carolingian Kingdom of Bavaria. 24 Sep 911 Carolingian dynasty ends. 16 Sep 1180 Wittelsbach dynasty begins. 30 Jul 1505 Polity reunited, ruler styled Herzog beider Bayern. 17 May 1632 - 1633 München occupied by Sweden. 14 Aug 1704 - 6 Mar 1714 München under Imperial occupation. 29 Apr 1706 - 6 Mar 1714 Divided between Austria and the Palatinate. electoral dignity) in dispute with the Palatinate. 27 Apr 1803 Palatinate incorporated into Bavaria. 1 Jan 1806 Kingdom of Bavaria (Königreich Bayern). 7 Nov 1918 Free State of Bavaria (see German states since 1918). 11 Jun 1420 - 20 Sep 1440 Under Nürnberg. 1457 - 11 Mar 1486 Administered by Ansbach. 26 Feb 1495 - 1515 Administered by Ansbach. 8 Jan 1557 - 26 Apr 1603 Administered by Ansbach. 28 Jan 1792 Administered by Prussia. 8 Oct 1806 French administration. 11 Jun 1807 - 17 Jul 1807 Austrian administration. 17 Jul 1807 French administration. 28 Feb 1810 Annexed to Bavaria. 1146 - 1182 Under the Bishopric of Utrecht. 1182 County of Bentheim (Grafschaft Bentheim). 1468 Bentheim an immediate fief. 13 Dec 1530 - 10 Feb 1643 To Steinfurt. 21 May 1753 Bentheim mortgaged to Hanover (pleged on 22 May 1752). 12 May 1804 Annexed to Steinfurt (Bentheim-Steinfurt). 12 Jul 1806 - 10 Dec 1810 Bentheim annexed to Berg, Steinfurt to Prussia. 14 Nov 1813 - 20 Dec 1813 Hanover administration (see Osnabrück). 20 Dec 1813 Bentheim annexed to Hanover. 1380 Abbots also Princes of the Empire. 8 Oct 1611 - 22 Oct 1611 Occupied by the Prince-Bishop of Salzburg. 1704 - 1704 Occupied by Austria. 27 Apr 1803 Annexed to Salzburg. 26 Dec 1805 Annexed to Austria. 14 Oct 1809 Annexed to Bavaria. c.1003 County of Jülich (Grafschaft Jülich). 1092 County of Cleves (Grafschaft Kleve). 3 Apr 1348 Julich united with Berg. 1356 Jülich raised to a duchy (Herzogtum Jülich). 1368 Berg united with Cleves. 1393 - 1423 Jülich in union with Guelders. 24 May 1380 Berg raised to a Duchy (Herzogtum Burg). 4 Apr 1417 Cleves raised to a Duchy (Herzogtum Kleve). 25 Jun 1423 Jülich amalgamated with the Berg. 14 Aug 1437 Berg inherited by Ducke of Jülich. 7 Sep 1511 Berg inherited by Duke of Cleves. 15 Mar 1521 Cleves united with Berg and Jülich (Herzogtum Jülich-Kleve-Buurg). Johann Sigismund of Brandenburg claim succession. 1609 - 2 Sep 1610 Imperial occupation of Jülich. 10 Jun 1609 Joint condominium of Palatinate-Neuburg and Brandenburg. being awarded to Palatinate-Neuburg by Treaty of Xanten. 2 Sep 1690 Julich and Berg in union with the Electoral Palatinate. 18 Jan 1701 Cleves ruler, the duke of Brandenburg, becomes King of Prussia. (from 30 Dec 1777, also Duke of Bavaria), inherits Jülich & Berg. 12 Oct 1794 Jülich (French: Juliers) occupied by France. 1795 Cleves left of the Rhine and Wesel occupied by France. 15 Dec 1805 Cleves on right bank of Rhine is ceded by Prussia to France. 15 Mar 1806 Berg is ceded by Bavaria to France. 15 Mar 1806 Duchy of Clèves and Berg (Herzogtum Kleve und Burg). into départements from 14 Nov 1808. 21 Jan 1808 Prussia cedes additional territories to Clèves-Berg. into the département Roer (see under Germany). 13 Dec 1810 Berg's département Ems annexed by France. 1 Jan 1811 Annexed to France; part of département Lippe. 15 Jun 1814 Annexed to Prussia, as part of province of Jülich-Cleves-Berg. 1 Jan 1811 - 1813 Annexed to France. 12 Jul 1806 Ceded to Principality of Salm. 12th cent. City independent from the Archbishop. 1358 - 1669 Member of Hanseatic League. four "succession lines" can be distinguished. created 1 Jan 1811 (see under Germany). 6 Nov 1813 Free Hanseatic City of Bremen (restored). (from 1918 see German states since 1918). 775 Bishopric of Verden (Hochstift Verden) founded. 787 Bishopric of Bremen (Hochstift Bremen) founded. 848 - 1072 In personal union with Bishopric of Hamburg. 1072 Archbishopric of Bremen (Erzhstift Bremen). 1180 Bishops of Verden also Prince of the Empire. 1186 Bremen city independent from the Archbishops. 1220 Archbishops of Bremen made Princes of the Empire. 1566 Establishment of Lutheran rule in Bremen and Verden. 1626 - 1631 Verden occupied by the Catholic League. 15 Feb 1645 Bishopric of Verden occupied by Sweden. (Herzogtum Bremen und Fürstentum Verden). 7 Sep 1712 - 7 Jun 1715 Occupied by Denmark. 7 Jun 1715 Sold to Hanover. 20 Nov 1719 Incorporated into Hanover. Apr 1801 - Oct 1801 Occupied by Prussia. 18 Jun 1803 - 26 Oct 1805 Occupied by France. 26 Oct 1805 - 1 Apr 1806 Occupied by Prussia. 12 Nov 1806 Occupied by France. 13 Dec 1810 - 27 Mar 1813 Annexed to France; part of département Bouches-du-Weser. 27 Mar 1813 - 20 Dec 1813 Hanoverian administration. 20 Dec 1813 Re-incorporated into Hanover. 3 Oct 1866 Annexed to Prussia. 1790 Principality of Bretzenheim (Fürstentum Bretzenheim). 1801 - 1803 Occupied by France. is granted the County of Lindau am Bodensee in exchange. 14 Mar 1804 Lindau ceded to Austria. Braunschweig) and Principality of Lüneburg. 23 Nov 1432 Fürstentum Calenberg detached from Brunswick. 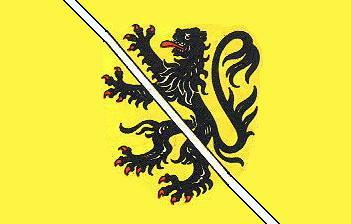 28 Aug 1807 - 30 Oct 1813 Incorporated into Kingdom of Westphalia. 30 Oct 1813 - 6 Nov 1813 Allied administration. 6 Nov 1813 Duchy of Brunswick (Herzogtum Braunschweig). 8 Nov 1918 Free State of Brunswick (see German states since 1918). 1447 Abbesses also Princesses of the Empire. 1625 Lordship of Strassberg acquired. 12 Jul 1806 Annexed to Württemburg; Strassberg to Hohenzollern-Sigmaringen. 30 Jun 1802 Rhine départements become regular départements of France. 1216 Cologne city council (rat) mentioned for first time. 1288 Bishops of Cologne are excluded from city administration. 1358 - 1475 Member of Hanseatic League. 26 Oct 1794 Occupied by France. 9 Mar 1801 Annexed to France, part of département Roer (see under Germany). Feb 1814 - 1815 Allied occupation. 88 Bishopric of Cologne (Stift Köln) founded, according to legend. 1031 Archbishop is Archchancellor for Italy continuously from this date. (1262) then to Bonn (1273). 25 Dec 1356 Golden Bull codifies Archchancellor office and electoral status. 8 Nov 1794 French occupy Bonn, electoral government moves to Arnsberg. 18 Oct 1797 Territories west of the Rhine, including Bonn, ceded to France. the départements Roer and Rhin-et-Moselle (see under Germany). Hesse-Darmstadt (occupied from Sep 1802). Jul 1814 Former territories formally annexed to Prussia. ¹Full title: Archbishop of Cologne and Archchancellor of the Holy Roman Empire for Italy and Prince-Elector (Erzbischof von Köln und des Heiligen Römischen Reichs Erzkanzler für Italien und Kurfürst). Besançon, from the 8th century to Mainz). 1192 Constance city an Free Imperial City (Reichsstadt Konstanz). Oct 1526 Seat of Bishopric relocated to Meersburg. 26 Jan 1549 Free Imperial City of Constance annexed to Austria. 25 Feb 1803) abolishes the Prince-Bishopric. 26 Dec 1805 Annexed by Baden. 822 Benedictine Abbey of Corvey (Kloster Corvey) founded. 6 Aug 1783 Raised to a status of Bishopric. of Corvey, part of Nassau-Orange-Fulda. 7 Dec 1807 Part of Kingdom of Westphalia. 1813 - 25 May 1815 Allied administration. 25 May 1815 Incorporated into Prussia. to 1802 Part of the Bishopric of Münster. County of Croÿ-Dülmen (Grafschaft Croy-Dülmen). 12 Jul 1806 Part of Duchy of Arenberg. c.880 First mentioned as Throtmanni. from 1295 led by a Proconsules, from 1319 a Bürgermeister. 1320 - c.1330 Free city administers the County of Dortmund. acquires the remainder with death of the last count in 1504. 13th cent. Member of Hanseatic League (Freie Reichs und Hansestadt Dortmund). 1806 - 1 Mar 1808 Occupied by France. 1 Mar 1808 Annexed to Grand Duchy of Berg. 1 Jan 1811 Annexed to France. 1813 - 1815 Allied (Prussian) occupation. 25 May 1815 Annexed by Prussia. to France by Prussia and Russia respectively. 1 Jan 1811 Incorporated into France as département Ems-Oriental. 8 Nov 1813 - Nov 1813 Occupied by Russia. Nov 1813 - 9 Jun 1815 Under Prussian administration. 9 Jun 1815 Incorporated into Hanover. 908 Bishops also Princes of the Empire. 29 Nov 1802 Occupied by Bavaria. 1215 Abbots become princes of the Empire. 1460 Converted into a college of secular canons. 27 Apr 1803 Annexed to Württemberg. 970 Chapter of Elten (Stift Elten) founded. 3 Aug 1802 Occupied by Prussia. 27 Apr 1803 Secularized and annexed to Prussia. 1805 King of Prussia names his nice as princess-abbess. 15 Mar 1806 Annexed to Berg. 14 Mar 1808 French imperial decree confirms restoration. 14 Mar 1811 Annexed to France; part of département Lippe. 10 Nov 1813 - 15 Jun 1814 Allied administration. 15 Jun 1814 Annexed to Prussia. 1430 Member of Hanseatic League. 2 Oct 1631 - Sep 1635 Swedish occupation. 22 Dec 1636 - Aug 1650 Swedish occupation. 12 Oct 1664 Incorporated into Mainz. 21 Aug 1802 Annexed to Prussia. 17 Oct 1806 Occupied by France. 4 Aug 1807 Annexed to France as "a domain reserved for the emperor"
7 May 1814 Last French troops depart. 21 Jun 1815 Annexed to Prussia. c.850 Benedictine Abbey of Essen (Stift Essen). 1216 Emperor Friedrich II designated the Abbess as Princess. 1661 Abbesses made Princesses of the Empire. 27 Apr 1803 Annexed to Prussia. 23 Aug 1806 - 3 Nov 1806 Joint condominium of Prussia and Berg. 3 Nov 1806 Annexed to Berg. 13 Nov 1813 - 25 May 1815 Allied administration. 25 May 1815 Restored to Prussia.